The Wizard World Comic Con in Chicago has some interesting tidbits to come out of it. Our most favorite bits comes from a fan Q&A session with the Firefly & Serenity crew: Summer Glau, Adam Baldwin and Nathan Fillion. All three have such respectable acting backgrounds: Summer Glau acting in Serenity and Arrow, Adam Baldwin voicing Green Lantern in various video games, and Nathan Fillion as Captain Hammer and many other cartoon characters. Well, in this interview, the Trinity of Geekdom trio were asked a lot of fun questions which you could check out in the video embedded below. One of the questions addressed to Nathan Fillion was what would his dream role be if he could pick from ANY character in any universe; he quickly answered that he would be Booster Gold, the greatest hero you’ve never heard of! Nathan says: “That’s kind of my niche… show-offy, vain. I think I could handle that… not too bright.” alluding to the fact that Booster is THE BIGGEST and FLASHIEST show-off this side of the multiverse. Though, he’s saved the multiverse twice with time-travel shenanigans! But we can never tell anyone this as not to upset the timestream. Also he is half of the best duo to ever make it onto comics Blue & Gold! Nathan then turns the question onto the other members of the Firefly cast. Summer answers that she would love to play as She-Ra, the Princess of Power, while Adam chose to keep silent on this. Watch the whole interview below! 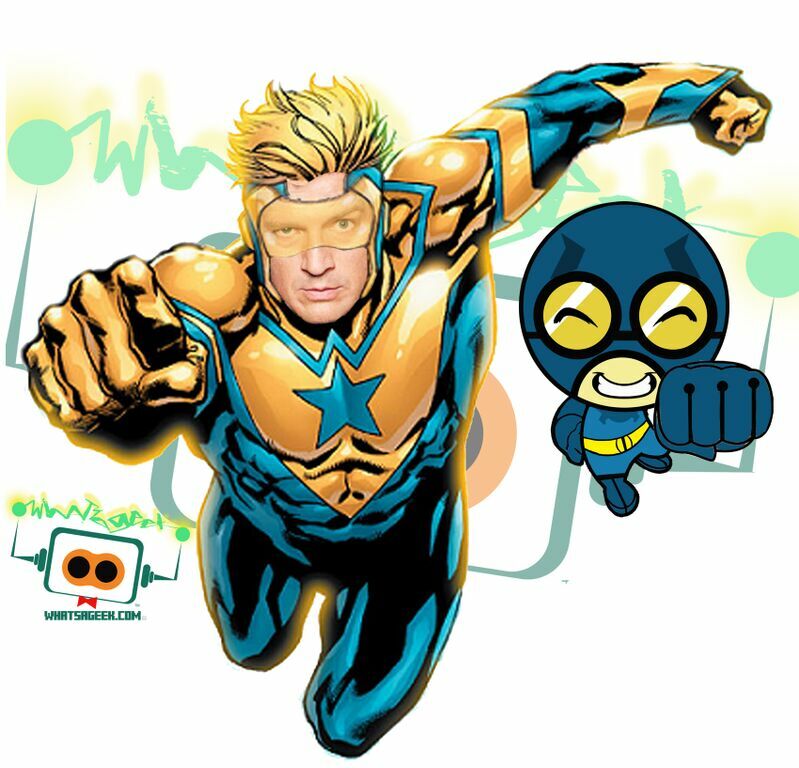 And check out the WAG team’s concept art of Nathan Fillion as Booster Gold made by our very own Potato! Blue and Gold Forever! Thanks Potato!